What to do if my employee forgot his password or needs a new invitation code. Your employees can reset their passwords themselves following this guide. However in some cases, they will still need your help. This is frequent when your employees get a new phone and download the app anew. 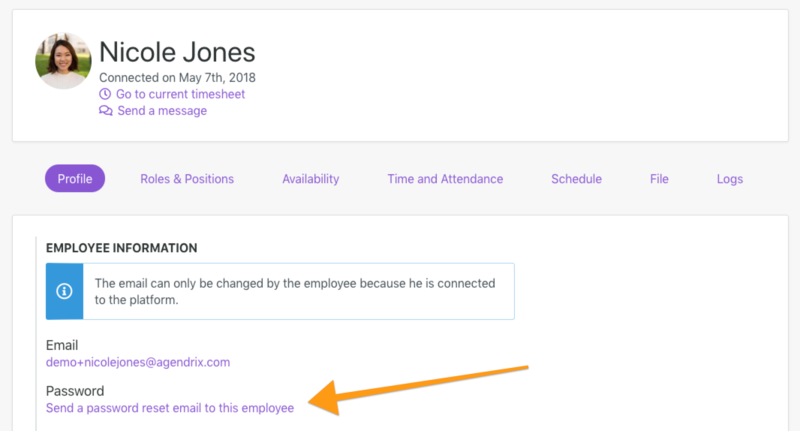 Agendrix allows you to send a password reset email to your employees simply by pressing on a button in their profile. If your employee has connected initially with a wrong email address only he will be able to change it. Nevertheless, you can write to us through the chat with his name and correct email address and we'll gladly make the change for you!